Gone are the days of rote learning and chalk and talk. 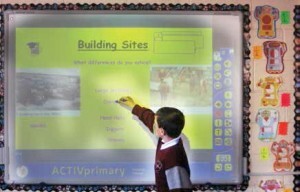 Today there are a variety of ICT solutions available to make the teaching-learning process fun and dynamic. One of the most popular tools is digital labs. Anushi Agrawal of Elets News Network (ENN) finds out the dynamics of this emerging industry and its growing popularity in our education system. India boasts of the largest higher education system in the world. There are over 610 universities (including about 130 deemed universities) set up under central and state legislation, 36,000 colleges affiliated to these universities, and a very large number of institutes of technical education; medical, legal, dental, nursing teaching and polytechnics. The school education sector is even bigger with more than 1.4 million private and government schools in various states of India. As per IDFC’s India Infrastructure Report 2012, the Gross Enrolment Ratio (GER) at elementary level is 119 percent, at secondary level 63 percent, higher secondary level 36 percent, and in higher education 15 percent which is much lower than the world average of 26 percent. According to Planning Commission paper, Approach to Twelfth Five Year Plan (2012-2017), the effort to expand educational access is severely constrained by the lack of suitably-qualified, appropriately-trained human resources in adequate numbers. There are half a million vacancies of teachers in the country and another half a million teachers are required to meet the RTE norms on pupil-teacher ratio. There is acute shortage of high quality teachers. There are many problems plaguing our education system, one of the biggest is the skewed teacher-student ratio in the country. Contrary to this scenario is, IIT professors taking virtual classes in 100 engineering colleges across India, more than 20,000 colleges connected to each other through video-conferencing system designed for online classes that enables whiteboard collaboration and content sharing, more than 15,000 teachers being virtually trained at the same time in far flung areas of the country. This is the virtual age where distance hardly matters. Information and Communication Technology (ICT) has transformed the education sector in every sense. E-learning is the latest buzzword. The use of ICT in schools and colleges has not only become a parameter of quality education but has also helped in bridging the gap between students and access to quality education. This is the age of smart kids or e-kids, where computers, internet and use of technology in every sphere of life is a given for them. This generation has always been exposed to gadgets and latest technology hence it only makes sense to teach them the way they want to learn. Consequently, schools and colleges have incorporated latest technological tools to enhance the teaching-learning process. Today, most of the schools have smart classes, a complete multimedia based classroom that has revolutionised teaching and learning of subjects like Mathematics, Science, Social Sciences elements. As observed by Soma Debnath, Principal, Heritage School, Pune, “Incorporating ICT boards into our classrooms have made learning fun as the students are able to use their kinesthetic skills to drag and drop items where they belong. ICT allowed learning to become interactive and engaging for the ‘digital native’ students.” Pratima Sinha, Principal, Hillside School, Hyderabad also thinks that “introduction of ICT into education as an instructional tool has taken a new meaning by facilitating a new paradigm into education for higher order thinking skills and strengthening instruction information sources, data collection, and data analysis strategies.” Digital labs in various subjects are very popular in schools. It fosters individualised and peer learning. Teachers can easily explain and demonstrate many abstract concepts making it more comprehensive for students. ICT has enabled higher order thinking skills and strengthening instruction information sources, data collection, and data analysis strategies. Digital labs in education- A sunshine sector in India? The use of technology in education was an uncharted territory for many until early 2000 but today it is well established industry with significant number of players eyeing for the pie in the market. In fact, at a time when other sectors are struggling to thrive, this sector is witnessing an exponential growth. Dr Haresh Tank, Director, Station-e Language Lab says, “Ambient Insight Premium Report (2012) says that the global market for digital English language learning products and services reached $1.31 billion in 2011. The worldwide five-year compound annual growth rate (CAGR) is 14.5percent and revenues will reach $2.58 billion by 2016.” The situation is equally bright in India. Gagan Goyal, Founder and CEO, ThinkLabs says, “It is a growing market. `100 crore revenue can be expected from each product in next couple of years. Smart classes is now an old story, labs are the latest phenomenon. The products which are closer to the curriculum are very much in demand as compared to the products which are just value addition.” Moreover, “the report by a recent technology market research suggests that about 5 percent of the $40 billion IT market in India, including hardware, software and IT services, was in the education sector. The market is expected to grow at nearly 12 percent through 2017,” shares Anil Goyal, Director, Mexus Education Pvt Ltd. But this growth in the sector has to be supported by good infrastructure in terms of good labs in the schools and high-quality internet connectivity. “The fundamental infrastructure required is just computers, internet and awareness about IT tools. Boom of internet in the country has led to a boom in this sector. The official rate of growth is around 8-10 percent but this is a very conservative scenario. The industry has immense scope and on ground, the rate of growth is much higher. But the growth depends on overall development of infrastructure and content,” says Prof essor Kamal Bijlani, Director, Amrita ELearning Research Lab. The IT solutions required in schools and colleges are very different. Although school is a bigger market but colleges usually have better infrastructure in place to support IT solutions. Most of the colleges already have the requisite infrastructure in place to implement the IT solutions, while schools usually have to work from scratch to build the same. Sameer Bora, EVP, Research and Development, Next Education says, “Schools have matured, they are no longer interested in plain audio-visual movies. They ask what are the tools you can offer, what is the student learning, where is the personalisation. It is no longer a game of selling videos. There is tremendous scope for growth in the industry.” He further adds there will never be a monopoly in this market as the products offered are so diverse and the technology is constantly changing. Some new player can always have something better to offer in terms of technology. “The core to success is anticipating the customer and making sure that we have a sustainable business model. Government has always shown a lot of interest in use of ICT in education. It sees ICT as a great enabler in education that can bridge the gap between urban and rural education sectors and help in tackling the issue of access and quality in India. Consequently, the government has taken many initiatives to improve IT infrastructure and promote use of ICT in education. The National Curriculum Framework 2005 (NCF 2005) highlights the importance of ICT in school education. It states that “judicious use of technology (multimedia and ICT) can increase the reach of educational programmes, facilitate management of the system, as well as help address specific learning needs and requirements of young learners, teachers and teacher educators. Possibilities of teaching and learning at varied paces, self-learning, dual modes of study, etc. could all benefit from the use of technology, particularly ICT.” The scheme, Information and Communication Technology in Schools was also launched in 2004 to provide opportunities to secondary stage students to develop ICT skills and to promote ICT aided learning process. • National Curriculum Framework 2005 (NCF 2005)- judicious use of technology can increase the reach of educational programmes, help address specific learning needs and requirements of young learners, teachers and teacher educators. • CBSE- recommended online labs and Mathematic lab to its affiliated schools for helping students understand experiments better. • AICTE- language lab is a part of essential and desired requirements for technical campus. • National Mission on Education on ICT- has a vision of catering to the learning needs of more than 50 crore Indians; providing one stop solution to all needs of the learning community. The scheme is a major catalyst to bridge the digital divide amongst students of various socio-eco- nomic and other geographical barriers. The Central Board of Secondary Education (CBSE) has adopted Continuous and Comprehensive Evaluation (CCE), an education system that aims to move away from the traditional chalk and talk method of teaching. Taking onto digitisation in a big way, CBSE has also recommended online labs to its affiliated schools for helping students understand experiments better. It has also advised schools to experiment with Mathematic lab. This has actually shot up the demand for labs in schools, making the industry more sustainable. “CBSE and KVS have allocated a lot of budget to schools for setting up language labs. CBSE schools focus on assessment on spoken and listening skills and that has increased the demand. It has gone up in last in last three to four years,” says Vivek Gupta, Country Manager, Sanako Corporation. Even All India Council for Technical Education (AICTE) has made language lab as part of essential and desired requirements for technical campus. It is an essential need to be made available at the time of the expert committee visit. Government has also come out with a National Mission on EduEducation on ICT. L S Venkatesh, Co-Founder and Director,Ecole SolutionsEducation sector is kind of recession proof in the sense that people always invest in education. Moreover, in the years of recession, the government was flushed with funds in education sector. We seem to have narrowed down the definition of ICT. It not only refers to the latest computer and internet based technologies, but also to simple audio visual aids such as the transparency and slides, tape and cassette recorders, radio, video cassettes and television and film. But currently, there is more focus on using computer and internet aided-learning in schools and colleges. One of the biggest challenges faced during implementation of IT solutions in schools and colleges is resistance from teachers. Talking about the misconception that technology is substituting teachers in a classroom, Chaitanya Dev Singh Sisodiya, Marketing Manager, Scientech Technologies Pvt Ltd, says, “technology solutions are designed to provide the teacher with adequate tools to make the class more interesting and interactive. The usage of these resources depends upon the teacher and thus their role remains paramount.” Another problem faced is that teachers do not use the ICT platforms very effectively in classrooms. “In other countries, the teachers are really moti-vated and are eager to use the platform but this lacks in India. The full capability of the platform is not explored. Teachers usually stick to what we offer, they don’t experiment with the platform. It would be ideal if teachers can develop their own content rather than depending on companies to provide the content,” says Vivek Gupta. Bharathy Bharadwaj also feels the same, “we see a lot more technology awareness and enthusiasm from teachers in US, UK, Australia and Japan compared to teachers in India at this point of time.” But Steve McKee, President, Labtech International Ltd feels that resistance from teachers in adapting to new technology is a universal problem. “It is a global problem that teachers are not very encouraging initially but a lot can be improved with proper training and awareness.” Labtech is almost 30 year old company but has recently opened its India office. Talking about his experience of operating in India, Steve says, “India is a unique market. One-model-fits-all theory does not work here. We have to really personalise our products in India. 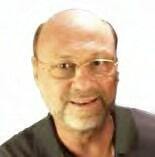 The major problem in India is low internet connectivity, poor infrastructure, low literacy levels and its diverse market.” Steve further adds that on a global level, the scope of ICT is immense, nearly 40 percent of global population has access to internet and there is nearly 90 percent mobile penetration in the world. Even in India, the internet penetration and mobile network is growing at a fast rate and this will open up huge possibilities for use of ICT in education sector in India. India ratings and Research Pvt Ltd, a rating agency, estimated the Indian education market to be worth `5.9 trillion in 2014-15 as against `3.33 trillion in the 2011-12 financial year. India has at least 250 million students in schools and some 27 million in higher education. The agency further said that the education expenditure in both urban and rural India has grown steadily. In rural areas, it increased annually by 14.8 percent between FY05-FY12 and in urban areas by 14.62 percent in the same period. This clearly describes the scope of the digital labs industry in India. Given the current rate of growth of the industry and millions of schools and hundreds of colleges waiting to be digitally connected to the world, digital labs is certainly a sunshine sector in India. Another problem faced by MNCs in this sector in India is the price war. The price offered globally is vastly different from what is offered in Indian market. “India is a highly competitive market. We had to be really smart about our pricing here. Globally our prices are at least three to four times what we usually charge in India. We had to do this to survive in the market here,” shares Vivek Gupta. Most of the technology solution providers find that bureaucracy, time taken in decision-making and hierarchy in the oganisations hinder the progress in the industry. Private schools and colleges are more receptive to IT initiatives, while government schools and institutes delay decision-making. “Most of the people who are running the in Vivek Gupta. Most of the technology solution providers find that bureaucracy, time taken in decision-making and hierarchy in the oganisations hinder the progress in the industry. Private schools and colleges are more receptive to IT initiatives, while government schools and institutes delay decision-making. “Most of the people who are running the in-stitutes are of traditional mindset. They are not from academia. They are not aware of new teaching pedagogy, how it help in teaching-learning process, how it help in retention level. The challenge is to educate people about why these initiatives are important,” says Gagan Goyal. The complete model of teaching-learning is up for change. The traditional chalk and board method will give away to various models of “blended learning” as pointed out by Professor Kamal Bijlani. The new model will involve equal effort from both teachers and students in a making teacher- learning a dynamic process. These days language labs are the most popular amongst schools and colleges. Mathematics, Science and Robotic labs are also gradually finding takers in the market. Use of ICT can prove to be a big boon to distance learning education. It can change the entire set up by bringing in much required quality, transparency and repute in distance learning education. Digital labs can prove to be an enriching instructing tool in Massive Open Online Course (MOOC), an online course aimed at unlimited participation and open access via the web. Professor Kamal Bijlani opines that as soon as the regulations by the government are released about the formats through which education can be imparted in India, “soon it will become an online supermarket. The stigma associated with distance education will change; it will become huge and available to anyone, anywhere at affordable cost in diverse subjects, in various formats. Universities will not only do traditional teaching but will be forced to do online teaching as well. As soon as the policies are opened up, everybody will rush into it.” Even schools are very optimistic about IT initiative in the campus. Asha Prabhakar, Principal, Bal Bharati Public School, Noida, says, “We want to create a digital Math lab for students to have new modern technologies in learning, verifying and visualizing mathematical concepts, create a digital language lab to enhance communication system, have a digital library and facilitate a teacher-oriented software which expedites all their teaching, documentation and result process being accessible from their personal accounts.” ICT has been revolutionary in education system. “Introduction of ICT in the school education system has encouraged and developed research aptitude among students and helped them to generate more independent projects and studies. It has also led to a change in the methodology of teaching by in cluding edutainment and educational games, increasing students interest and making education more activity based. ICT has made distance education, collaborating learning and online evaluation system, possible which has led to preparation of evaluative assessments, activities etc. on the computer,” shares Sudha Singh, Principal, Ryan International School, Greater Noida. With new stakeholders venturing into the market, online space in education and IT tools like digital labs have made this a very exciting phase for education. “With new age schools coming up, innovative educational institutes opening up, top Indian companies foraying in this segment and a lot of foreign investment coming in, signify the changing landscape of the industry as an impact of various initiatives taken so far,” says Akash Dahiya. The industry is gradually maturing with more stakeholders coming in and having increasing stakes in the market. ICT in education can make students ready for the virtual world and prepare them to be a true native of the global village. As for technology solution providers in the education sector, “the trend is going upwards, lot of stakeholders will come in, lot of consolidation will happen where independent provider will probably merge and start offering consolidated services and that is the way to grow,” Sameer Bora sums up on a positive note.